Major Nippy Betz owns a scholarship company that offers seminars, courses, scholarship workshops, and private coaching to help teens graduate from college debt-free. 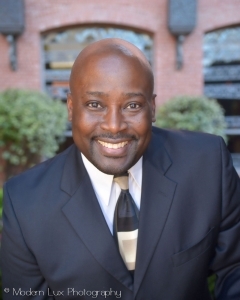 He is a Keynote Speaker, TV Personality, Author, and Scholarship Coach known as the Moses of Education! This former Air Force Commander turned Master Scholarship & Leadership Instructor, helps provide scholarship acquisition, workshops, coaching and leadership training for teenagers, college students, their parents, counselors, AAU teams, churches, and businesses! He helps students graduate debt-free, as founder of the Scholarship Leadership Institute (SLI). Download your FREE scholarship diagnostic assessment! Also, get information today about his wildly popular low-cost SLI ® Monthly Scholarship Membership (think Netflix for scholarships and college prep)! Major Betz recently had a weekly TV show that replayed his monthly hands-on workshops, every Saturday and Sunday morning on local education cable channels around the country. Visit his www.majorbetz.com site to see some of his video clips to learn more about this dynamic speaker! Major Betz also heads up the successful non-profit EmPowerment 21 (aka EP21). He wrote the book “What Would You Do, If You Knew You Couldn’t Fail” and “How to Graduate College Debt-Free” to help inspire teens to win meaningful scholarships, saving parents thousands of dollars off their teen’s college bill! In Major Betz’ coaching programs, he personally mentors motivated students, all over America, using his proprietary scholarship success system. He helps them get into and pay for college while graduating with little to no debt! His success-proven webinar workshops are held monthly in the comfort of your own home, during the school year. His ultimate mission is to raise leaders and eliminate debt! Book Major Betz, by visiting www.majorbetz.com, to speak to your organization, join his coaching program, or get your hands on his life-changing products! Major Betz left a 6-figure job to help teens earn over 6-figures for their college education! Check out his inspiring TEDx Wilmington talk, “How to Graduate College Debt-Free” and prepare to be amazed! DOWNLOAD A COPY OF MAJOR BETZ’ BIO BY CLICKING HERE! DOWNLOAD A COPY OF MAJOR BETZ’ MEDIA KIT BY CLICKING HERE!